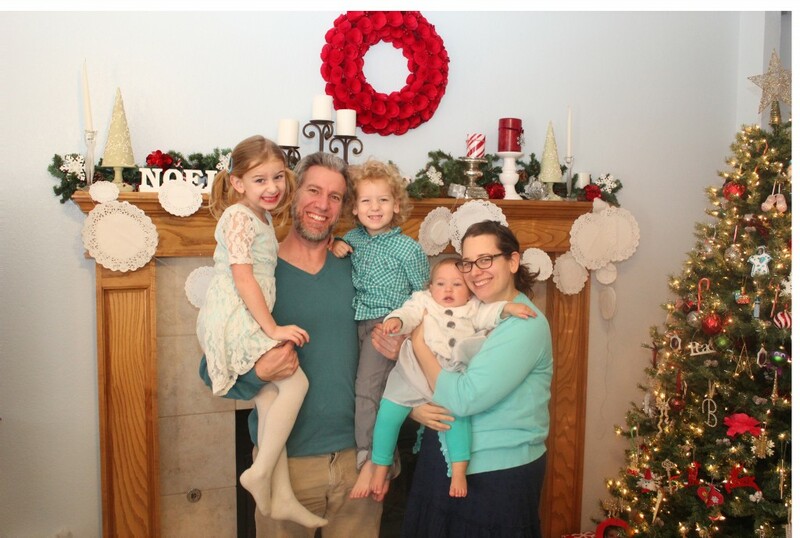 Today I finally got to go to Abbey’s Christmas Tea! She’s invited me for years, but I’ve usually been traveling. It was so wonderful! They had fancy foods like magic meringue mushrooms, cranberry tart, and lots of cheeses. And they had a delicious chai milk. Her family owns a spice shop so their food always tastes delicious. It was wonderful getting to visit with Abbey and her family. We even got to see Mary and finally meet her son Isaac! Maggie was adorable with her many costume changes, and she and Serenity had a blast being winter faeries, coloring their hair (with chalk) and coloring in the windows. DZ and Everett played really well together, and Maia spent the whole day toddling around chewing on all their toys. Today turned out to be remarkably nice considering the rough night Maia and I had. 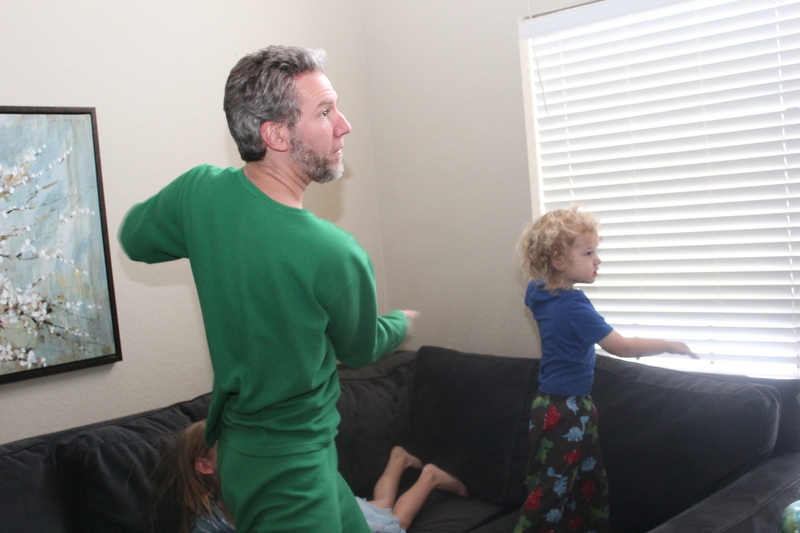 I traded with Eric around 7am and got some time to snuggle on the couch with Serenity and DZ, who I accidentally woke as well. Then they started playing a game of mermaid and sea turtle. I was kind of staring into space, dazed and confused, when I heard Serenity exclaim, “It’s snowing!” She was so excited =) She went out and tried to catch a snowflake on her tongue. 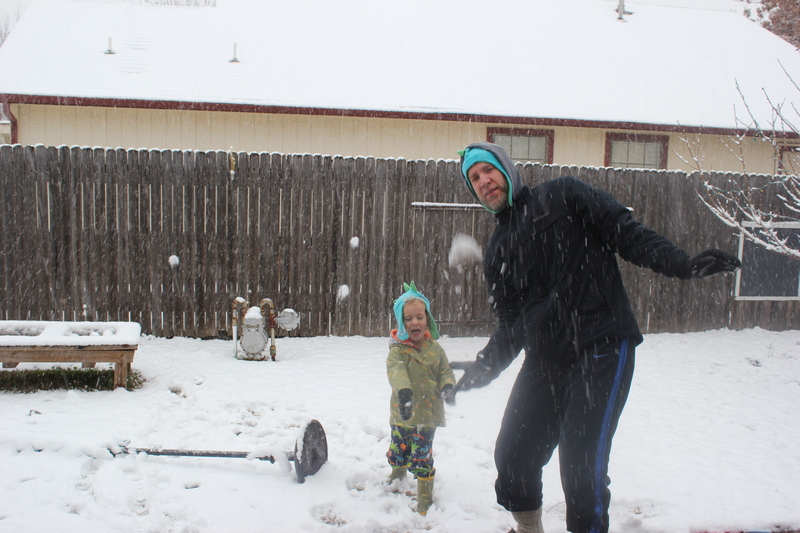 Donovan and Eric went out a couple of times to enjoy the snow, and he even threw snowballs with the neighbors. I took a really long, hot bath, and felt fairly human. So we just had a low-key day, playing with our Christmas toys, reading books, board games. I cleaned another bag of stuff out of the kids rooms. We all took turns playing Forbidden Desert with Eric. It’s really fun, and the kids can actually play as well! 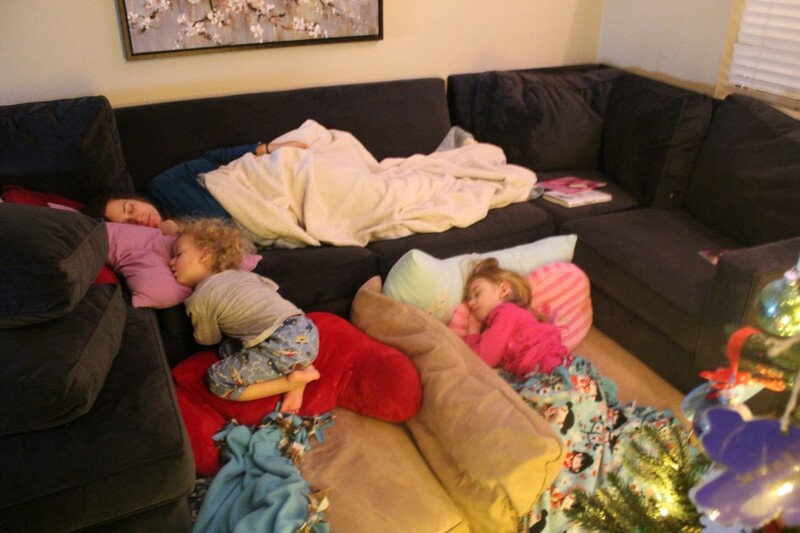 As I write this, the kids are snuggled up watching Dora’s Christmas Carol. Tonight’s our last night of sleeping under the tree. Maia is snuggled into her crib, instead of the pack n play, and Daddy’s keeping her company. I am so lucky. 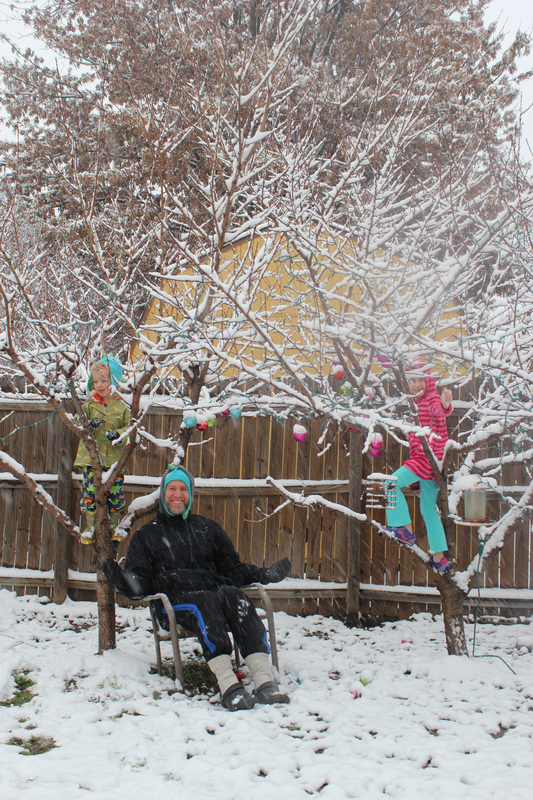 Posted in Uncategorized | Comments Off on December 27th: Snow Day! 5.) Sweet little dinosaur onesie from Ann and Tina. 6.) I bought this little embroidered shirt shopping with Jennie. She got one for Corwyn too =) 6 week pictures. 7.) I found this tie-dyed shirt that perfectly matched his favorite ball for his first birthday party, which was ball themed since that was his first word. I eventually appliqued a one on it. 1.) This outfit Serenity and I chose together because she wanted one to match her sister =) It’s on her pillow as well. 3.) This little heart pattern is on the outfit she wore in her 9 month pictures. I loved it because the little heart reminded me of the adorable gold heart sleeper Abbey got me as a baby gift. I got another set of onesies in her current size that has this little gold heart too! 4.) 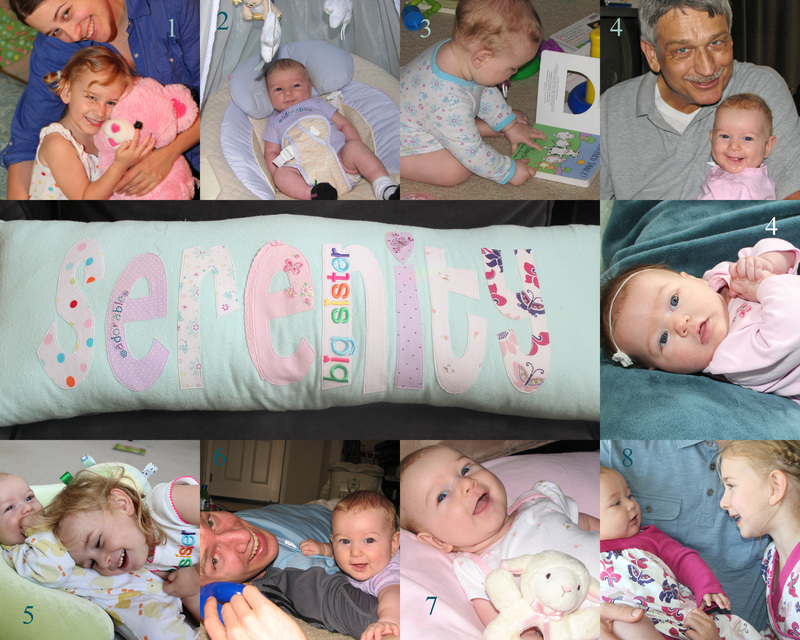 This purple onesie with the butterfly is extra special, because it was Serenity’s too. She wore it for the first family picture we took together, and as often as I could wash it. 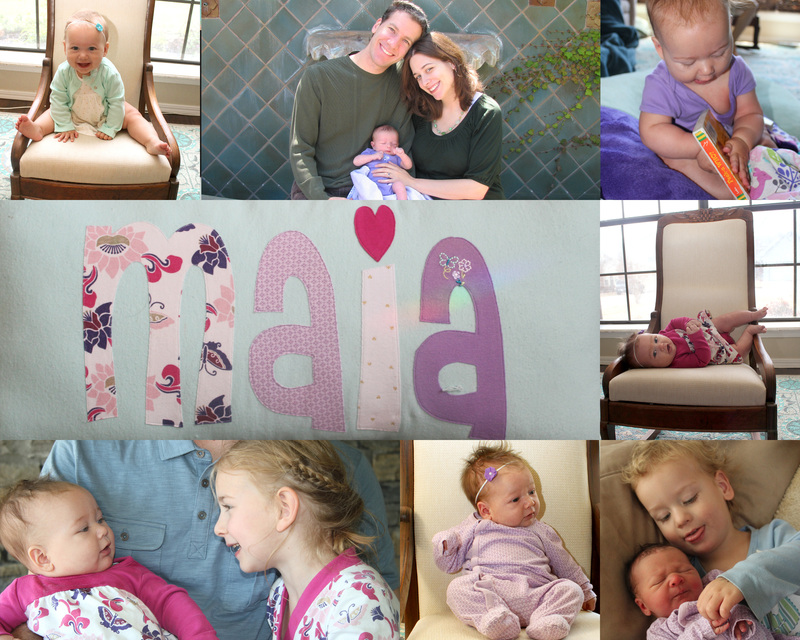 I bought sets of purple onesies from Carter’s for her in nearly every size, and I loved that Maia wore them too! Maia is wearing it to read Peek-a-Who, one of my favorite baby board books. 1.) Serenity absolutely loved this polka dot nightgown that she inherited from her cousin Raegan. She’s worn it for years, I just this year took it out of her closet to make room, not because she outgrew it. 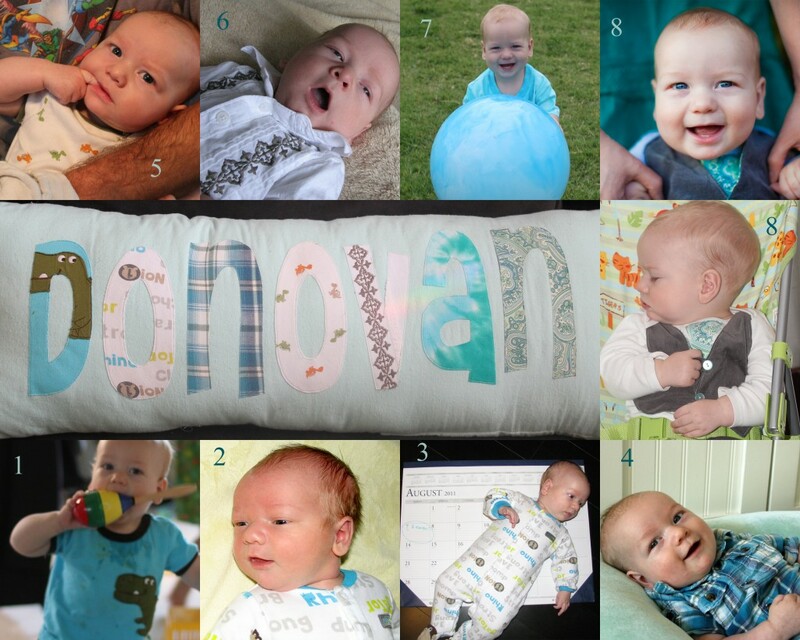 It was really hard to cut up, but it really needed to be on the pillow. 3.) Pretty snowflake onesie =) I put that in because she loves Elsa so much right now, and I loved that the snowflakes are made out of butterflies. In the picture she is reading Barnyard Dance, her favorite book that we made her first birthday theme. 4.) This little pink butterfly onesie was a gift from Aunt Jennifer. Maia wore it too! 5.) The Big Sister shirt we got for her when she first became a big sister. DZ is eating her hair which made her giggle a lot =) She’s a great big sister! 6.) Another one of the purple onesies. I included it because this is one of my favorite pics of Eric and Serenity as a baby. 7.) This little lamb onesie was a gift from Mimi. When I told her I was having a girl, she was so excited. She told me she knew just how to shop for little girls, and she was right. 8.) The dress she chose so she could have a dress that matched her baby sister.